Charging gadgets and sharing data are so much a part of our daily routine that we hardly think about them anymore – until we happen to find ourselves without the proper hardware, that is. The Symlis Sparrow is a flash drive and USB charging cable that fits onto your keychain so you’re never without your files and a charge. 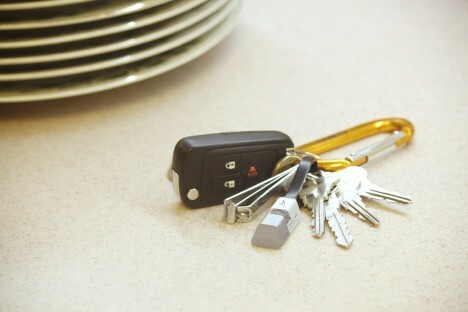 The Sparrow is more or less a USB cable with magnets in both ends so that, when it isn’t in use, it forms a little loop that can easily be carried on your keychain. A plastic cap fits over the business ends of the cables for security, and so they don’t end up filled with pocket lint or purse crumbs. One end of the cable is home to a flash drive of 16 GB, 32 GB, or 64 GB. You can carry around your important work documents, store music or movies, or even share information between devices by copying files from one phone onto the Sparrow and then handing off the Sparrow to a friend. 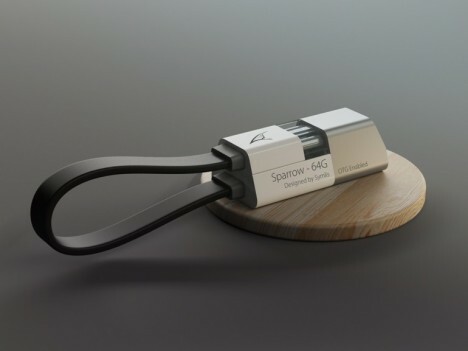 If your phone’s battery starts running low, you can plug the USB end of the Sparrow into a computer and the other end into your phone’s charging port – it’s available for iPhones or Android devices. 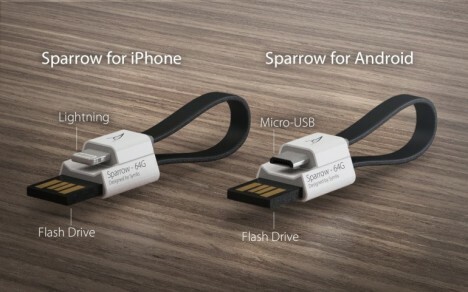 Although we’ve learned to be skeptical of crowdfunded gadgets, the Sparrow seems pretty attainable. It starts at a pre-order price of $35 on Indiegogo.